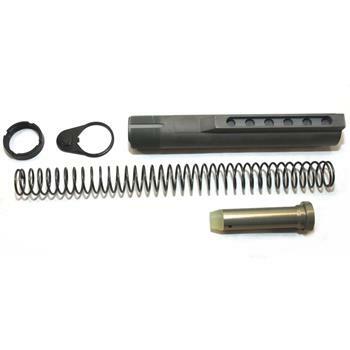 AR15/ZM4 Nickel Teflon coated Buffer tube kit includes: tube, buffer, spring, lock nut and end plate. DS Arms Mil-Spec complete buffer tube kit with the DSArms NTFE Finish. Perfect for your next build or replacing that old commercial spec tube!